Why See It Came from Beyond? 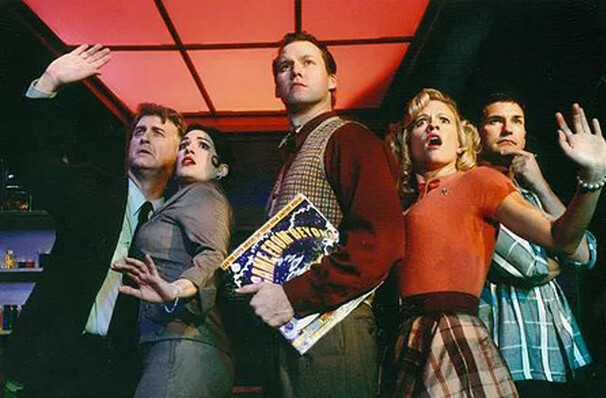 Described by critics as the "next Rocky Horror Show", It Came From Beyond is a loving musical spoof of b-movies, full of invading aliens, chiselled jawed heroes, and stilted dialogue. The story centers on a lovesick high school geek who discovers an interplanetary secret hidden in a comic book, and an astronomer convinced that aliens are heading our way. Featuring a main cast of five who each play two roles each, It Came From Beyond is dizzy family friendly fun, which also incorporates clips from old sci-fi classics, like Invaders from Mars and Ed Wood's Plan 9 from Outer Space. This St Luke's staging is written by Cornell Christianson, while Norman E. Thalheimer and Stephen M. Schwartz provide the music and lyrics. 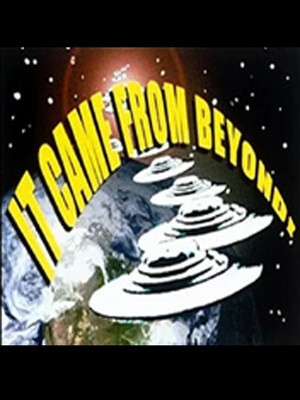 Seen It Came from Beyond? Loved it? Hated it? Sound good to you? Share this page on social media and let your friends know about It Came from Beyond at St. Luke's Theater. Please note: The term St. Luke's Theater and/or It Came from Beyond as well as all associated graphics, logos, and/or other trademarks, tradenames or copyrights are the property of the St. Luke's Theater and/or It Came from Beyond and are used herein for factual descriptive purposes only. We are in no way associated with or authorized by the St. Luke's Theater and/or It Came from Beyond and neither that entity nor any of its affiliates have licensed or endorsed us to sell tickets, goods and or services in conjunction with their events.